I don’t know of any fancy coffee shops near me so I usually make my own specialty drinks. I normally just drink coffee, but once in awhile I like to indulge in a special treat! I make sure to savour every last drop. 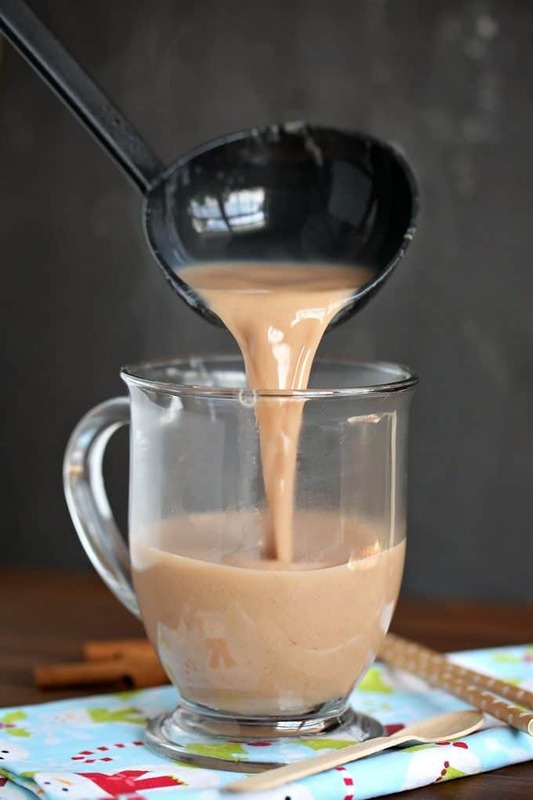 This Gingerbread Latte recipe is made in the slow cooker. It tastes divine and perfect to enjoy on a cold winter’s day. Even if you do live near a Starbucks or Second Cup, sometimes you just don’t feel like venturing outside in this kind of weather. I’m a homebody in the winter months and will choose to stay home than go out to try and wipe a mountain of snow off my car. Instead, grab your slow cooker, some milk and coffee, and spices from your pantry. Whip up a steaming hot mug of decadence. Gingerbread may be more known as a holiday drink, but I crave them all winter long. The hardest part about this recipe is waiting the three hours for it to be ready! It’s a delayed gratification. My house smells spicy and sweet and the taste makes the wait worthwhile. You might also like this Slow Cooker Chai Latte. Do you make your own specialty beverages at home or do you prefer to go out and buy them? Enjoy this spicy and sweet Gingerbread Latte recipe made in the slow cooker. It’s perfect for a cold winter day! Pour milk into the slow cooker and add in spices, sugar and vanilla. Stir to combine. Cover and cook on low for 3 hours, but keep an eye out if it gets too hot because you don’t want the milk to boil. After 3 hours turn off the slow cooker. Pour into mugs about half way and then add hot coffee to fill up the mugs. Stir to mix. Garnish with whipped cream if desired. This sounds really good and easy to make. I’ll have to give it a try. I too hate going out in the winter and this would be the perfect hot drink to make. 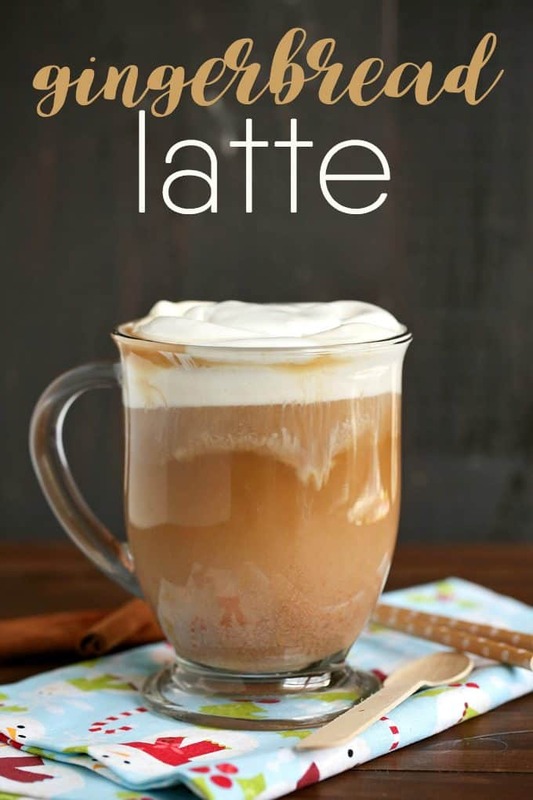 I Love making my own coffee’s at home and I have to try this because it sounds yummy1! Oh yum! This drink looks so delicious! I would love to make this and try it out. 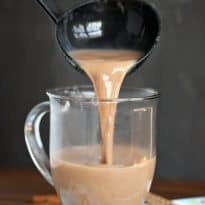 I love gingerbread cookies, so I know that I will love this drink! Sounds like a recipe I’d love to try as I really enjoy gingerbread hot chocolate. Sounds tasty but the wait would be tough! You are right! I’m not drinking much coffee these days since I am pregnant, but I will have the occasional cup. 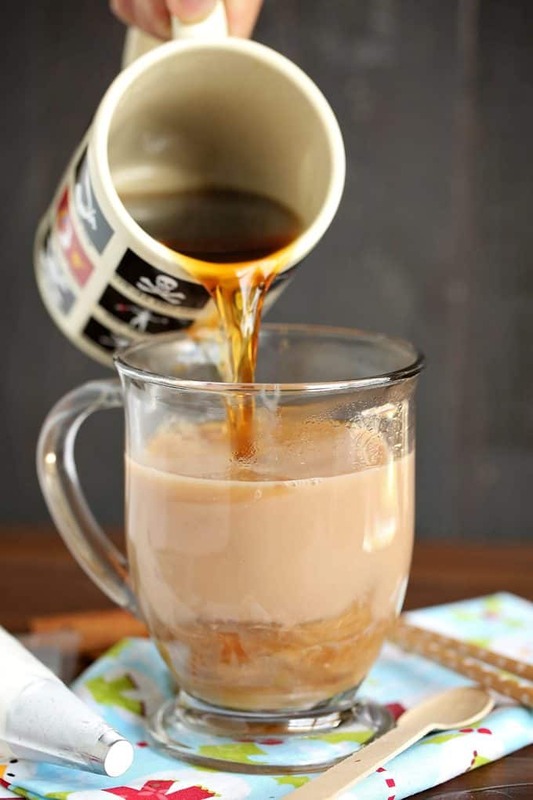 I love any “spiced” beverages like this in the winter, I will have to give this a try! This sounds so good! I usually go out to pick up something like this, but now I can make it at home! This will be a recipe I add to my drink collection. I love the taste of ginger bread. I made a mistake buy getting a Ginger bread kit this year for my son to decorate. The cookies were already made and the kids just had to decorate. Those cookies were HORRIBLE. never again. i will make them from scratch, and maybe we will have this with them next year..
Never tried making latte, this is excellent! This sounds delightful. Thank you for sharing. The flavors would be great! I don’t make specialty coffees for myself and rarely get them at places. I usually drink is green tea, I make it myself at home. 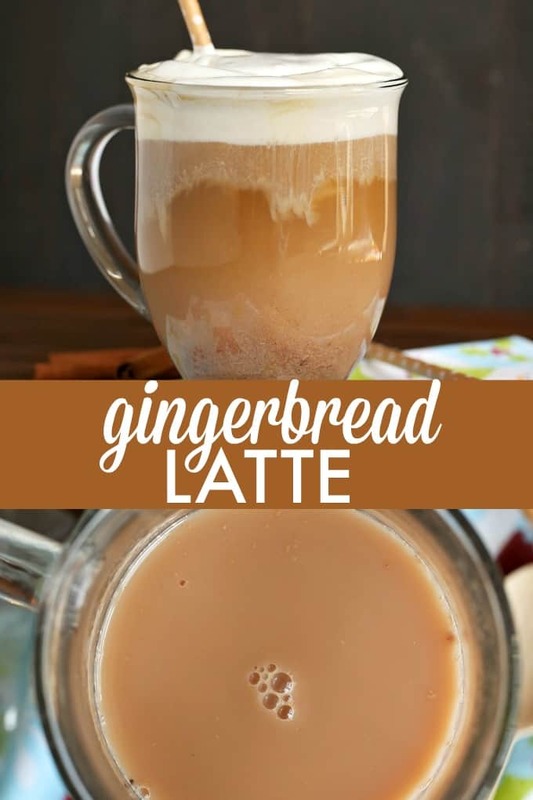 This gingerbread latte sounds wonderful, just reading the title of this post I thought to my self, this sounds yummy. I can’t wait to give it a try (three hours! ), thank you for sharing this recipe. We do a little of both…home and out. I really like the flavors of this and the convenience of the slow cooker. My friends and I agree all the flavours come together making a delicious mouthwatering drink that goes well together with vanilla cookies. Thank you for the recipe for this wonderful drink. I love that this is made in the slow cooker. The aroma must be wonderful! I love Lattes. This looks like something I need when reading a good book. Thanks for linking this up to the Friday Frenzy – it sounds so good -I might make it today!! Sharing this on my FB page too. I rarely go out for coffee–so overpriced! Love that this is done in the crock pot, but, yes, it would be hard to wait. Thank you for linking with See Ya in the Gumbo, Stacie. Sounds simple enough to make, will have to try this sometime! I would have never thought to make a drink recipe in my slow cooker. Another great idea. Seems your blog recipes are full of them! This looks so good. I am wanting to try this. This just sounds amazing. I cannot imagine what it tastes like. Thanks for sharing! YUM! I need this, and soon– I can’t wait to try it out! looks divine! will pin and share. thanks. Sounds easy; I love flavored coffee in the Fall and Winter months, but i can’t justify the $4 “a treat” every time I get the urge to indulge. Thanks for sharing! That sure sounds delicious! YUM, YUM, YUM! This looks FANTASTIC! I love warm, hearty lattes! Pinning for a cold day! I’m a homebody in the winter too. It’s too cold to go out if not necessary. I can’t wait to make this! Pinned. Thanks for the recipe it sure sounds delicious. I can’t wait to try this!